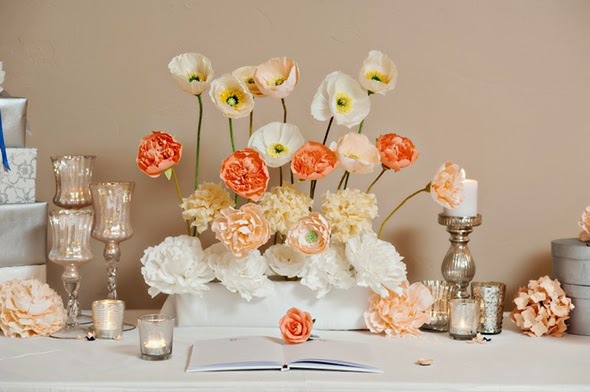 Making paper flowers for your wedding has several advantages over using fresh flowers. Just to name a few, they cost about a fraction of the price of buying fresh flowers, bouquets, corsages, boutonniers, centerpieces and alter flowers. You will not have to worry about them wilting in the hot sun or freezing in the cold weather. You can make your flowers in almost any color with crepe paper you can even add polka dots to the flowers if you want to. You can make any type of bridal bouquet your heart desires or you can create your very own one of a kind bridal bouquet. 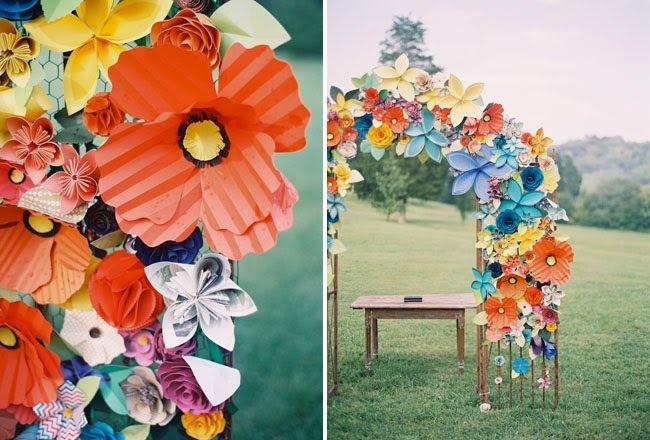 Those are just a few of the benefits of making your own paper flowers for your wedding there are several more but we believe the list above is enough to at the very least make you consider your options. Aside from that, crepe paper flowers will last a very long time and you can place them in your home as a decoration or store them away and know that when you pull them out again they will look just like they did on your wedding day! In this article we are going to look at how you can make a bridal bouquet; somewhat a one of a kind in its own right. It is made out of crepe paper flowers and has a beaded holder. There is no specific name for it we just call it the beaded bridal bouquet. Now keep in mind you can make any flower(s) you want and in almost any color. 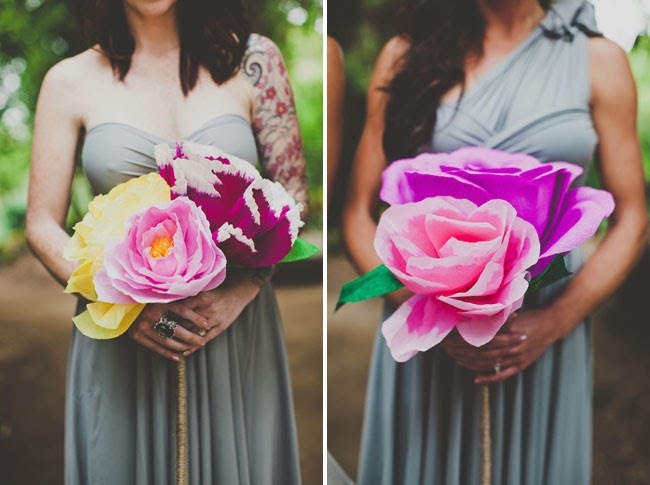 When you make your own wedding bouquets using crepe paper you are not limited to make what is available. Use your imagination and if you do not like our ideas by all means use your own. This bouquet is just an idea for you to use or to add to. 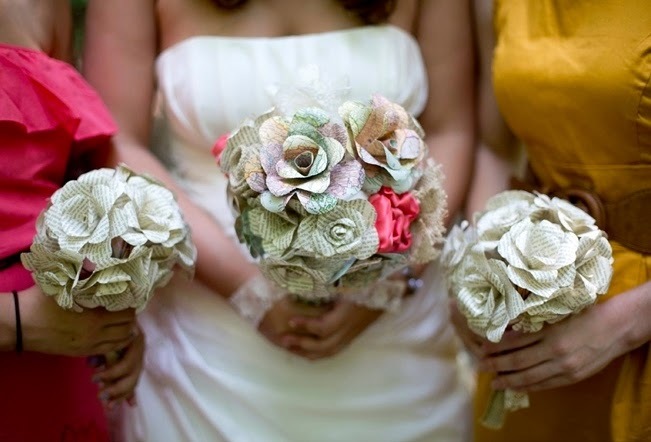 Beaded bouquets are not only beautiful but they also add a touch of class and elegance to the bridal ensemble. To add beads to the flowers you can simply glue them on using clear drying glue. If you choose to add beads to the bouquet, you can use bead pins or pearl-headed pins. You just stick the pin in the holder wherever you want them. To liven up the pearl pins add a few sprinkles of glitter. Strings of crystal beads can also be intertwined in the bouquet. These strings of beads come in a large assortment of colors. You can mix and match colors or stick with one color. If you are able to find strings that have multi colors they are even better especially if your bouquets have more than one color flower in them. This bouquet is simply beautiful and you will have made it all yourself so the sense of pride you feel should be enough to keep you making all the paper flowers for your wedding. After all it is your wedding and you know exactly what you want and what you have dreamed of your whole life. Do you really want to leave that in the hands of a florist? Nice read. However though paper flowers are an alternative, fresh cut flowers are the best. They bring life to any wedding and they are not necessarily expensive. DIY wedding flowers packages saves money and time.